At 23" tall, ferruginous hawks are our largest hawk with a preference for open prairie. After spending breeding season in the sagebrush, ferruginous hawks small mammals on the open prairie through winter, often roosting on open ground. 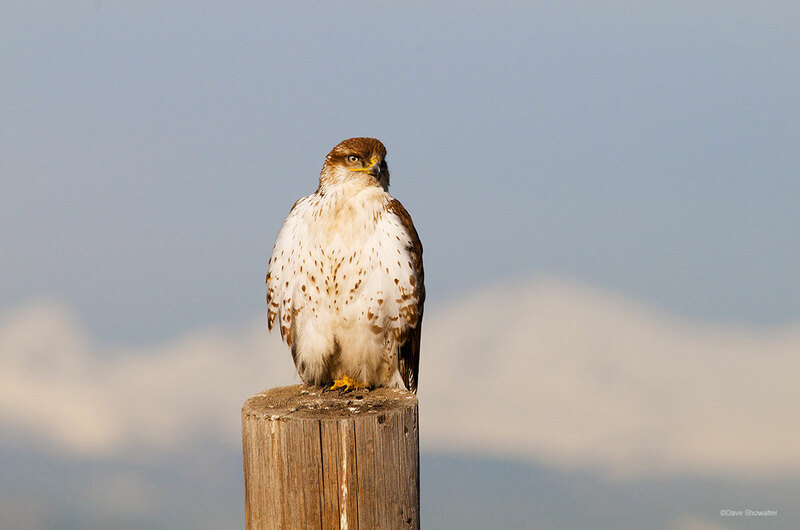 Here, a ferruginous conserves energy, loafing on a fence post with a backdrop of Colorado's Front Range Mountains. Photo © copyright by Dave Showalter.